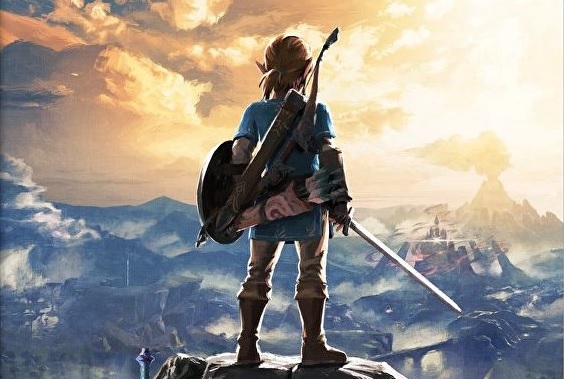 Where to begin… The Legend of Zelda: The Breath of The Wild manages to hold the torch of a hugely popular franchise at the same time as stamping its own unique qualities and mechanics on the series moving forward. 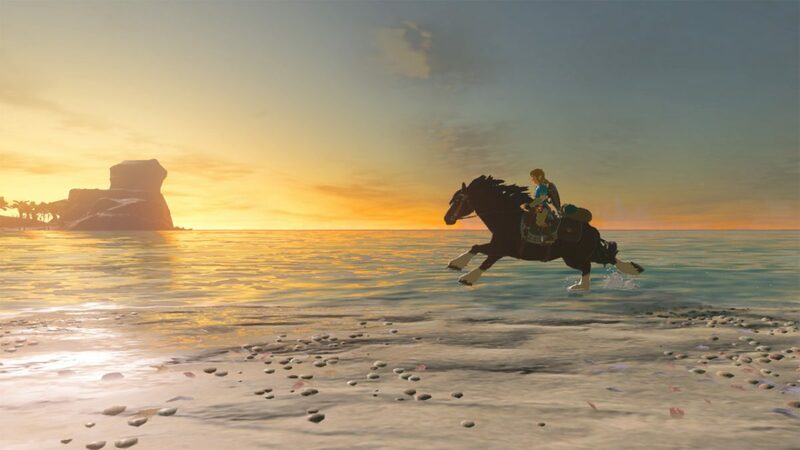 It is a masterclass in environmental and puzzle design but does this make The Legend of Zelda: The Breath of The Wild the 10/10 game you’ve almost definitely heard of? The Legend of Zelda: The Breath of The Wild is an open world action/adventure game developed by the minds at the Nintendo company. The narrative follows series protagonist Link as he awakes from an amnesiac 100-year slumber. 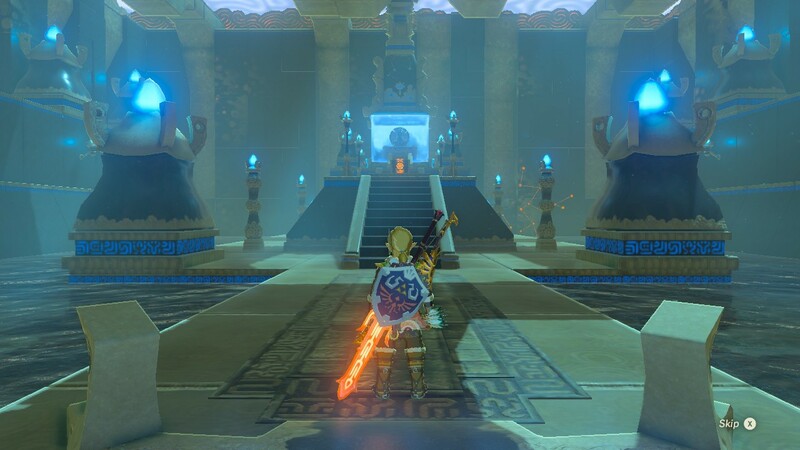 As Link, you must put together the pieces of your past and bridge a path to rescue the Princess Zelda from the Gannon occupied ‘’Hyrule’ Castle. The game holds your hand through a few tutorial-themed objectives after you wake and receive the ‘Sheikah Slate’, a multipurpose tool that helps link in all aspects of his adventure. 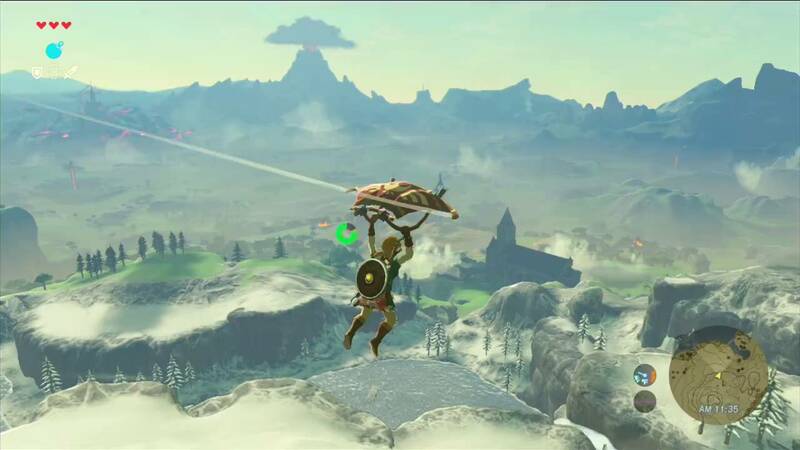 Once the ‘Paraglider’ is obtained from a mysterious old man, Hyrule is yours to explore. The Paraglider gives you the freedom to conquer the game from any angle you choose. 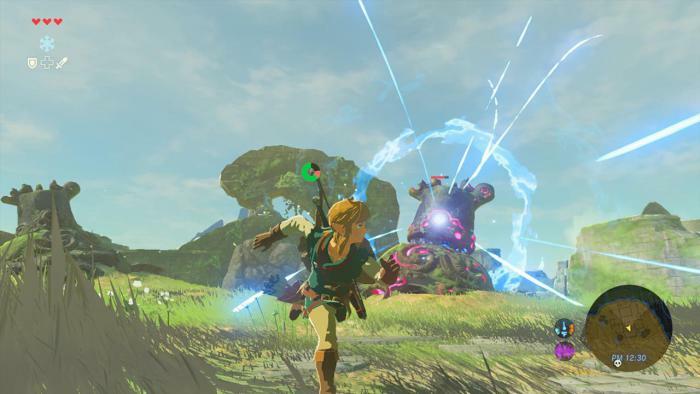 Link can glide from any-where but it will burn down the energy wheel. Link can gain assistance in his fight against Gannon from neigh-bouring races. These races allow you the chance to rid the Beast of Gannon’s influence. Among the Beasts you will discover the spirits of champions of Hyrule from the past century who will give access to crucial gameplay upgrades. Despite all the great characters in the story, there is none greater than the environment itself. This is truly an open world with a million things to keep you occupied. I would often get side-tracked by something I discovered whilst on a mission and not come back to the initial mission for days because I was so busy. You are swiftly introduced to the ‘Shrines’, the games shorter dungeon levels that involve you using varied Abilities named ‘Stasis’, to solve some beautifully crafted puzzles. You will be rewarded for conquering the shrines with ‘Spirit Orbs’. These orbs allow you to gain health or stamina upgrades which do help, but for me the point of the shrines was for a new unique puzzle that lies within. Trials works fluently and gives a satisfying feeling when moving objects to around the screen. Another portion of the puzzles include clever mechanics that involve you setting fire to reveal your treasure or connecting metallic objects to complete an electrical circuit. One of my only gripes with the game is with the motion based puzzles. Playing on the switch, if your joy-cons are not perfectly calibrated then you will struggle to meet the demands of the movement based trials, even then I would still sigh when I found one. Also, if you are unfamiliar, the game introduces you to the Ubisoft-perfected ‘Towers’ that unlock parts of the map when you reach the peak. Though I think the game could have done without them, this is useful for pinning targets through your telescope miles away. To reach the shrines, towers and secrets you must master the climbing mechanics. This enables you so much more freedom than any other Zelda game. 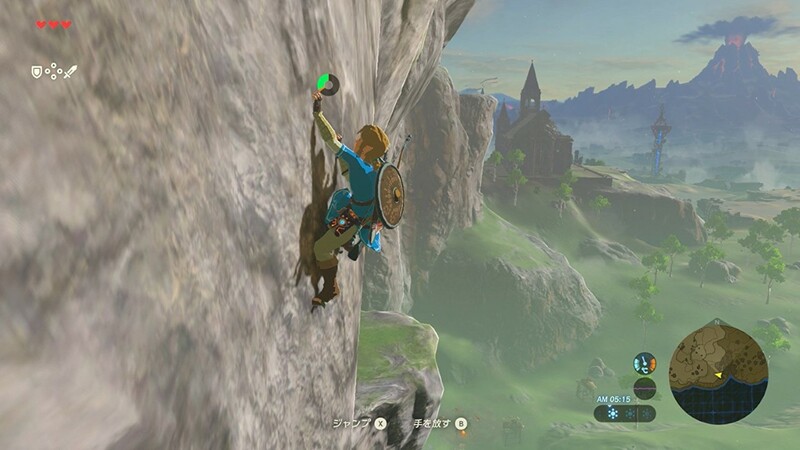 It allows Link to ascend any mountain you can see if the correct route is taken and if you have a stamina ring that can handle it. Whether you’re taking your time to gather resources and gain a relationship with the locals, or throwing any strategy out the window and gunning it straight for the castle you are left to find the objectives yourself. As someone that is hesitant towards loosely mapped objective, I found all negative preconceptions to silenced by the sense of adventure I experienced when climbing the mountains of Hyrule. On mountain-tops and other nooks and crannies in Hyrule you will find the ‘Koroks’, a race of small woodland spirits. These Koroks will give you ‘Korok Seeds’ as a reward for finding them. The seeds can be used around Hyrule to expand your maximum carry capacity. An alternative but in my opinion less fun to travel is buy horseback. Link can tame and register a horse for his ownership. The smaller monsters in Hyrule aren’t that much easier to beat as the bigger bosses. I have been one-hit-K O’d by simple enemies even with a stronger health limit. Links weapons will only get you so far in battle as they have a varied level of durability, and will break eventually. This mechanic forced me to cycle through a large catalogue of different weapons and allowed me to see more of the game though on similar RPGs I would stick to the few more powerful weapons that I would find in a game. Link can wield several weapons such as swords, axes and spears but I found that using the bow from a far would limit the amount of resources that I would use if I took enemies out strangely with bombs and falling debris. The armour you find will last you a lifetime. Though the armour system isn’t too intricate each armour set is stylishly individual and outfit colours can be changed to further customize Link to your liking. 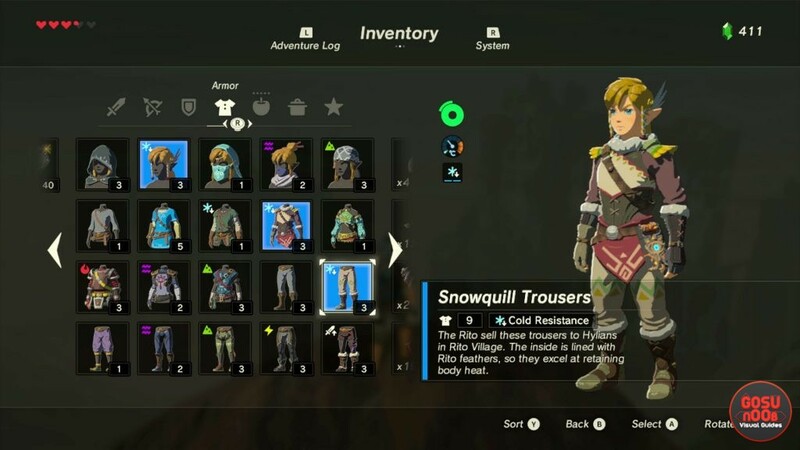 The game does feature some armour locked behind an ‘Amibo’ supported door, but there is plenty of cool items to obtain in-game. Without the game telling me, I discovered that I could set my wooden weapons ablaze. From this I learned that objects like dry grass or wood could be set alight and spread as the flames realistically reacts to the direction of the wind. Fire is also needed to cook the food that you will find in Hyrule. Certain food and objects have certain buffs such as cold resistance, extra hearts or higher attack damage. 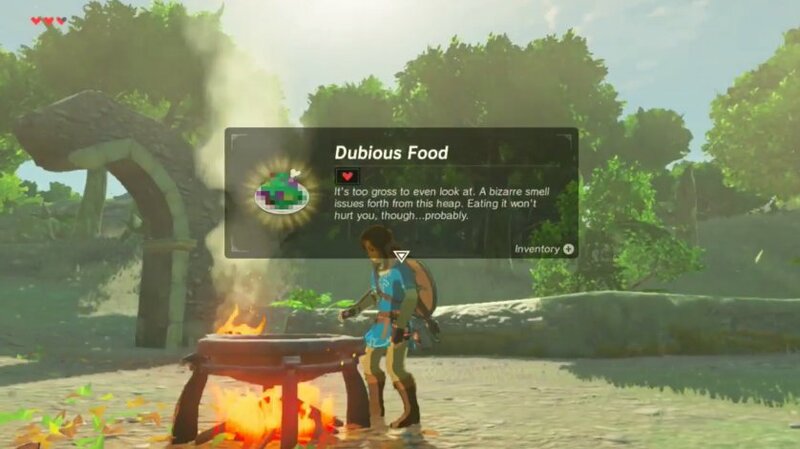 Cooking is simple, satisfying and the animation of Link throwing together his ingredients leaves me with a sense of joy that I didn’t expect to get from what I thought was a small part in a massive game. 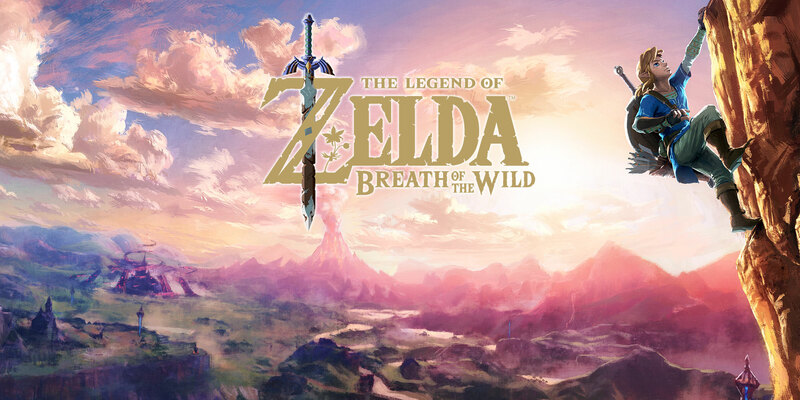 With the help of a delicate soundtrack that nods to the original themes in the series, The Legend of Zelda: The Breath of The Wild encouraged me to be more adventurous than I usually am with similar games. As I would reach the peak of a mountain, slow ambient piano sounds would set me at ease after a triumphant upwards battle. When I was out in the desert, hard, fast piano tones would make me raise my guard as enemy’s leap from the sand. The cut-scenes could be skipped but I didn’t want to skip them and the inclusion of voice acting for the first time in the games’ series wasn’t a noticeable factor. It was short, sweet and well-acted for the most part. I felt The Breath of The Wild justified my reasons for buying a Switch. It is one of the best games I have played and it stands out in a market that has similar and successful RPG titles. The Nintendo company has a solid experience that I will willingly give my time to even after beating the main narrative. It is a step in the right direction as Nintendo show they understand the maturity of their audience. Packed with an art style that invites you in the game deserves to be played at length! Next Post The Lowdown Shelter – Zombie Speical!